Our 400,000 square foot manufacturing facility, located in the heart of the United States, provides advanced engineering and technology, a major testing facility for product performance evaluation, and computerized machining centers for high-quality manufacturing techniques. Fairbanks Nijhuis sales and service facilities are located across the United States and throughout the world. At Fairbanks Nijhuis our longevity, engineered products, R&D programs, market leadership and customer service are the direct result of the quality and dedication of our personnel. Myers engineered wastewater products are known throughout the market for quality, value, innovation and reliability. 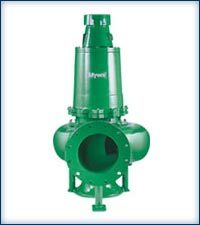 Hidrostal Pumps submersible/immersible pumps are a range of quality screw centrifugal non clog pumps. They are capable of pumping general effluent and municipal and industrial wastewater that includes solids, rags and other common materials. 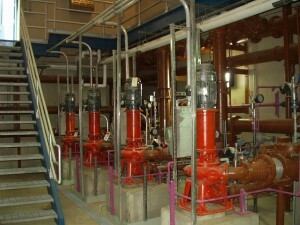 Viscous pumping and even gentle handling are also possible with this type of pump. Submersible differs from immersible in the motor types. The submersible motor is cooled by conducting heat from the motor to the liquid in which it is submerged. This requires the motor to be submerged for normal and prolonged operation. The immersible motor features a closed loop cooling system that circulates fluid around the motor housing and exchanges heat through a finned plate at the bottom of the motor housing. 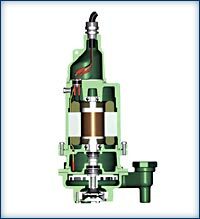 All of our Dry Pit/bearing frame pumps incorporate the screw centrifugal impeller, invented by Hidrostal. 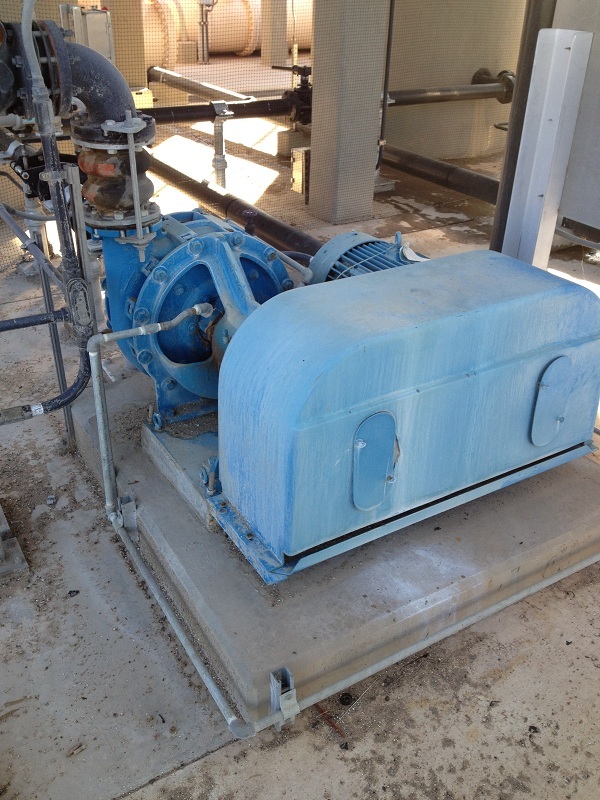 This hydraulic design offers considerable benefits over conventional centrifugal pumps. The term “Non-Clog” has almost become a punchline in the pumping industry. Traditional wastewater pumps are actually classified as “Non-Clog”, but ask any operator or pump mechanic if their “Non-Clog” pumps clog! The Hidrostal design takes solids handling operation to the next level, where clogging & blockages are a thing of the past. 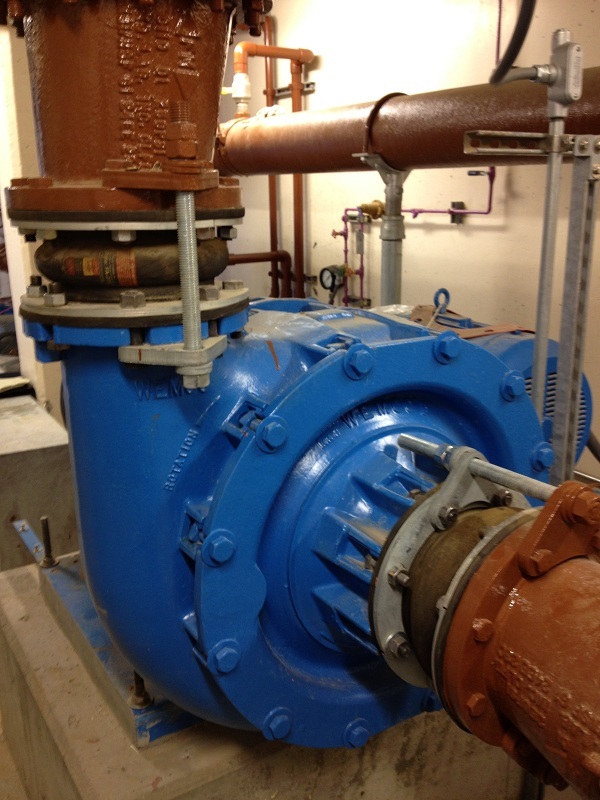 The Hidrostal is not a traditional non-clog pump, but actually a hybrid that utilizes the best features of a positive displacement type screw pump – crossed with a single vane centrifugal pump. This combination provides an unmatched performance of effectiveness & efficiency. The fact of the matter is that unscreened sewage or wastewater is evolving and most of the pump suppliers are not evolving with it. 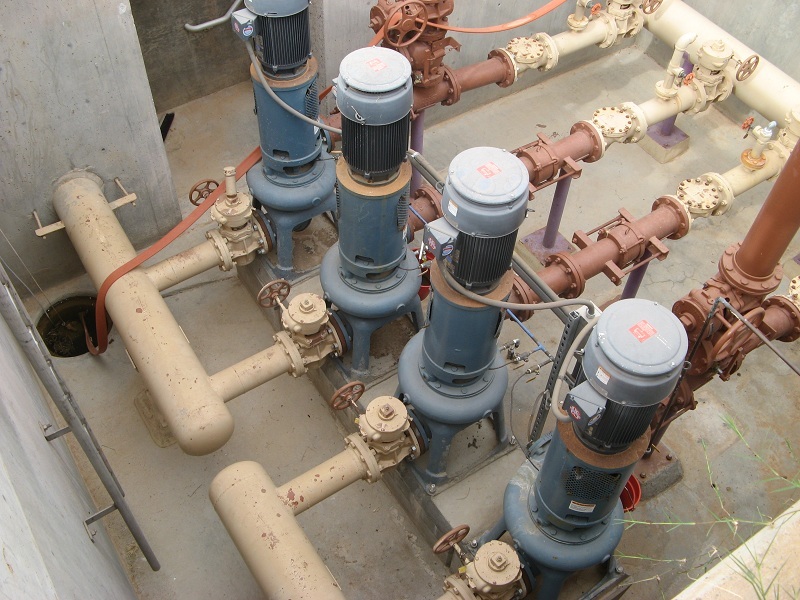 The Hidrostal is not your “average pump”, it is unique alternative that is positioned to handle today’s challenging wastewater demands. The superior hydraulic design is back by a company that is committed to improvement and technology and is not just “doing it the we always do”. 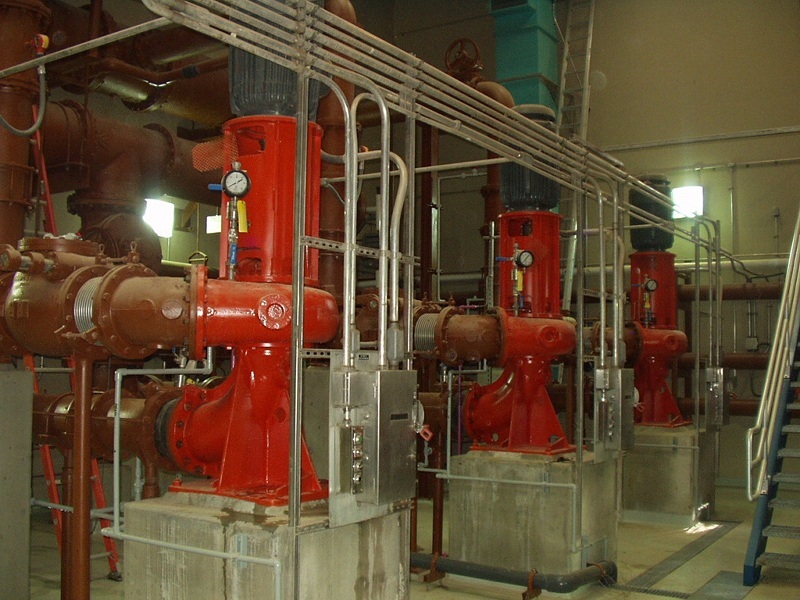 Hidrostal offers our Dry Pit/Bearing Frame pumps in multiple installation types with several power transmission options. Our configuration features the Hidrostal wet end hydraulics with a robust bearing frame design with oversized bearings. Installation types include both Horizontal and Vertical. Horizontal installations can be either in line coupled, side-by-side with pulleys or many of the smaller models can be provided in a space saving Over-Under arrangement. 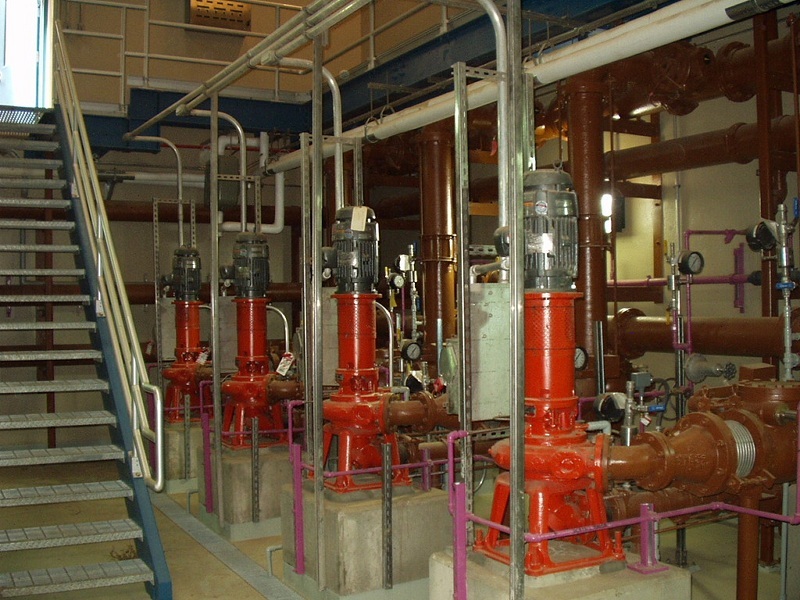 Vertical installations are available with pedestal or pier mounted pumps and motor arrangements by direct mount or remote-drive shaft units. A traditional flexible coupling with a flange mounted commercial motor, is a compact unit having convenient maintenance features. We can accommodate a wide variety of packing and mechanical seal options to meet your needs. Both are available with Hidrostal’s wide choice of hydraulic ends and both feature the company’s innovative approach to bearing selection and mounting. Moyno, Inc. maintains the largest in-field inventory of progressing cavity pumps and genuine Moyno replacement parts in North America through a premier distribution network. This network is linked via an intranet to ensure availability and minimize downtime. Well-trained and experienced, the Moyno distribution network offers a variety of preventative maintenance, service and repair services. It’s all part of the Moyno package that provides low total cost of ownership and true customer value. Run Dry: Warranted against damage for periods up to 30 minutes. 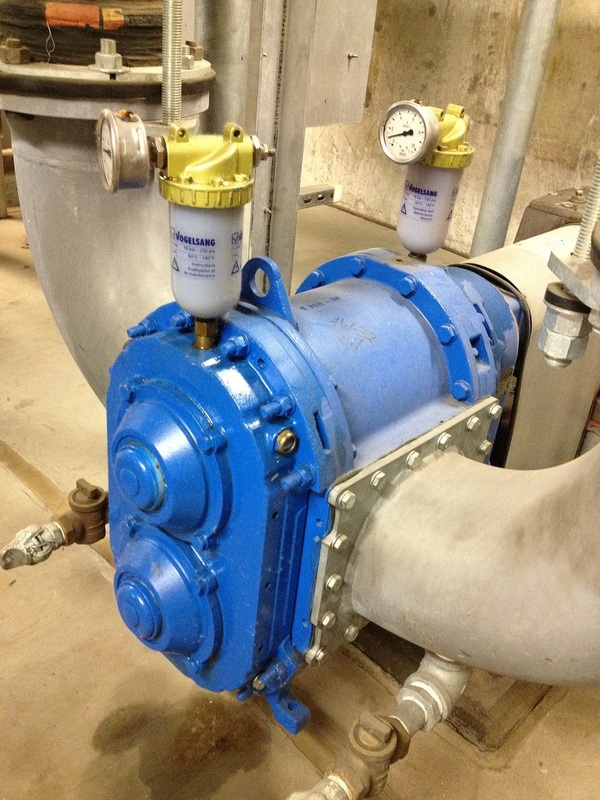 Complete Wet-End Rebuilds In-line: Change Lobes, Mechanical Seals, Lip Seals, and Wear Plates without disturbing the suction and discharge piping. Pulsation Free: Only Hi-Flo™ lobes provide smooth operation throughout the entire pumping range. Self Priming: Suction Lift Up to 25 feet wet. HiFlo Rotors: SBR, Buna-N, EPDM, Viton, Stainless Steel, Hardened Steel and Plastic. Wet End Materials: Standard in Grey Cast Iron, Optional in 316 Stainless Steel. Solids Passing: Up to 2 1/2″. Compact Size: Small footprint means reduced construction and fabrication costs. Quiet: Only 78 dB at 3 Feet. Shear Sensitive: Gentle pumping and pulsation free operation is perfect for eliminating liquid shear. 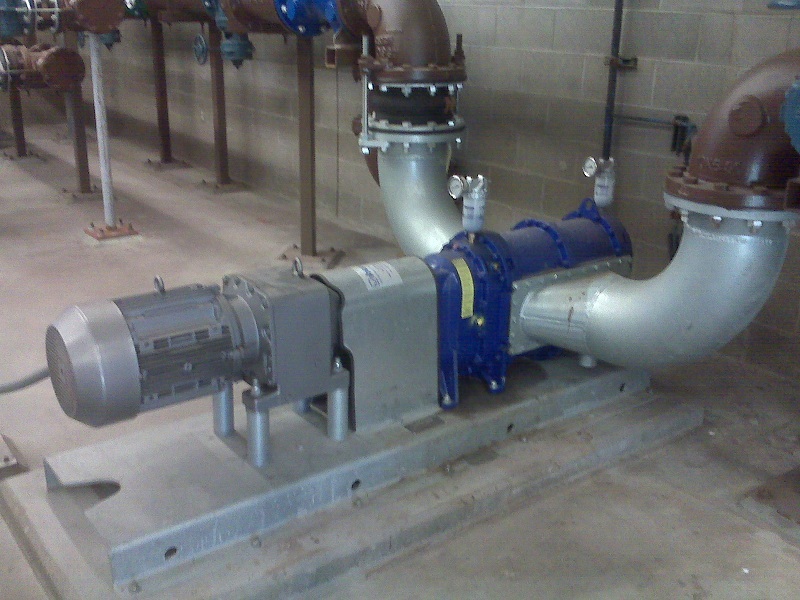 Designed for waste water applications, our pumps can be placed in a variety of positions throughout your facility. Applications include: Flocculate Metering, Sludge Dewatering to 18% Solids, Oil-Water Separation, DAF Sludge, Belt Filter Press and centrifuge feed, raw sewage, primary, secondary, and scum. 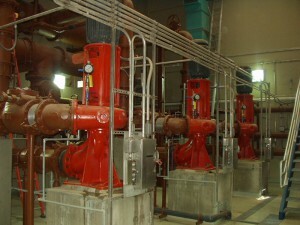 Our pumps can easily handle many applications in Industrial and Chemical Plants. Applications include: Chemicals, Coatings, Adhesives, acids, akalines, pastes, emulsions, feed stock and semi-finished. In a refinery application, pumping number 6 fuel oil at 1500 gpm, at 110 psig from multiple holding tanks to waiting ships. The same pump is also run in reverse to unload the incoming ships. WEMCO® is the market leading US brand for vortex and screw impeller pumps in wastewater, solids and high grit applications, especially amongst municipal customers such as New York City. A strong distribution network supports the high recognition in this diverse market. The standard of toughness and durability against which all other abrasive grit and sludge pumps are measured. Easily moves pipe size solids without clogging. Abrasion resistant construction. Industry’s Toughest Grit-Handling Vortex Pump. Durability and performance unmatched by any other grit-handling vortex slurry pump. 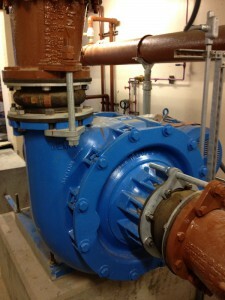 Abrasion-resistant alloy extends pump wear life. Hydraulic design of cupped impeller minimises wear. Oversize shafts, and 100,000-hour bearings. No other pump offers more quality or experience-proven features than Hidrostal to insure reliability and unsurpassed performance. The range is available in cast iron construction with an abrasion resistant option of high chrome iron impeller and suction liner.